Big sticker fun. Let’s get clowning around. Smiles. Chuckles. Stickers. Red noses. Polka dots. 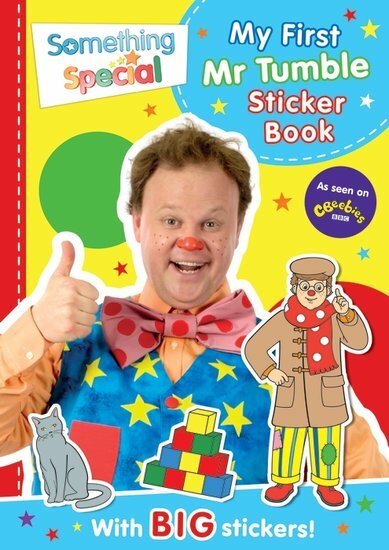 It can only be Mr Tumble’s sticker book. After all, fun is what he lives for. Fun, and sharing the laughter with you. Now, this first sticker book is perfect for little people. Why? The chunky stickers are specially built to fit into your hands. Help Grandad Tumble in the garden. Set up a tea party for Aunt Polly. Can you find the right stickers for each scene? And learn the special Makaton signs?